Before we can really have our hands on the new iPhone 4G, actually the release of Safari 5 is a bigger news that people may miss out. It’s showing how Apple pay afford and get ready to the new era of web development and open standard – HTML5. I’m not sure the requirement of new Reader feature. It works for some technical reading sites that I usually surf. Reader view, you can change font size, mail or print the article in better printing format. Extension is a “secret” hidden feature! It answers to complaints that Safari couldn’t have plugin like Firefox. Wish many useful extensions will appear soon! We love and hate Flash. It could be funny for giving us games and a lot of multimedia effect in web pages. But sometimes web pages are using it too much! And it consumes too much computation power. 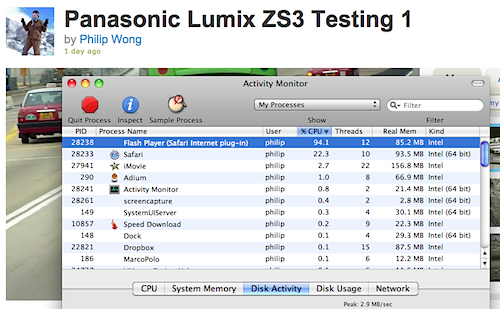 I found ClickToFlash is a great tool for Safari (I guess Firefox would have similar plug-in). Now I can load and Flash brick I want selectively. It has whitelist that you can add your favourite sites without such checking again. Also you can select H.264 before loading video from like YouTube. Adobe just published their Flash Player 10.1 pre-release. They claimed it support hardware graphic acceleration. However, as usual they may not port any improvement to Mac. They claimed it’s because Apple didn’t provide them API to make the improvement. Anyway, I took the risk to try it. 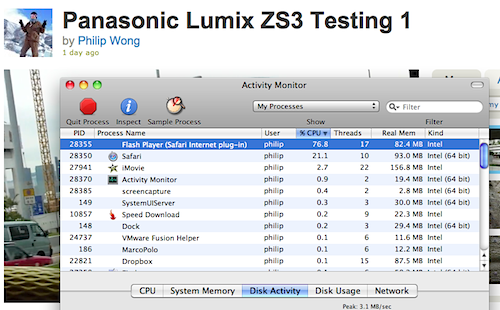 Amazingly, even my relatively old MacBook Pro can have 20% of CPU resource gain when playing Flash video. Before installing, you should quit Safari. And I ran the uninstaller for Flash as well.